Orders placed by 2:00 p.m. are shipped the same day. At this time we only ship within the United States. 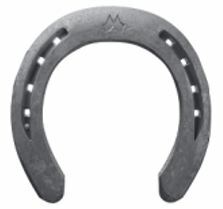 We know you have choices when shopping for your farrier products; however, we truly appreciate your business. We strive every day to live up to our motto, “All-Around Farrier Shopping.” You will find a large inventory of traditional and new farrier supplies – all chosen for quality and dependability – at a reasonable price. Let us know if you need an item you can’t find on our website, in our catalog or in our store. We are happy to special order items whenever possible.